Gaiam is a leading lifestyle brand with a mission to make yoga, fitness, and well-being accessible to all. 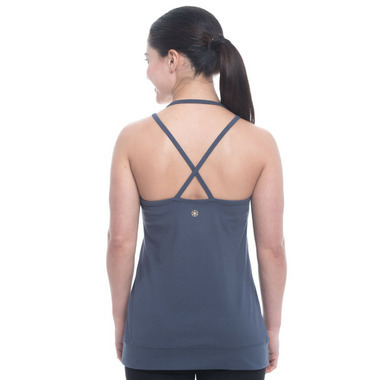 This tank top features a solid design, a built-in shelf bra with removable cups, anti-chafe seams, a performance fabric and a strappy back. Machine wash cold with like colours. Remove immediately. Do not bleach. Tumble dry low. Cool iron as needed. Do not iron decoration. Do not dry clean.